Either way, you end up with a rock chip in your windshield. When you reach your destination, you survey the damage. While you do not know much about rock chips and windshields, this particular one seems to have left only a small dent and crack in your windshield. In fact, with the exception of that tiny blemish, your windshield seems to be in perfect shape. You resolve to go about your normal business but is a rock chip something that you should simply minimize? Or can it be a barometer for something more serious in the future? To your untrained eye, a rock chip can look more like a nuisance than anything of concern. The reality, though, is that even a simple rock chip can set you up for more costly issues in the future. Not only that, but a harmless-looking rock chip can wind up compromising your safety. Only the auto glass repair specialists can make that kind of determination though. The number one way that even the simplest rock chip can cost you is because it can seriously compromise the integrity of your auto glass. Not only can it cause damage to spread across your windshield, a rock chip can eventually destroy it completely. 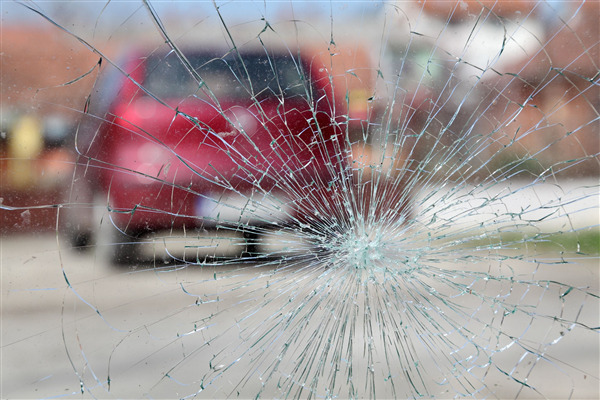 In fact, with rock chip damage you are vulnerable to having the auto glass shatter from event the slightest impact. Having a clean and clear windshield is a safety issue. The blemish caused by the rock chip can significantly reduce the amount of clarity you experience when you look through your auto glass. If this blemish is on your windshield, it could also be enough of a distraction that it becomes hazardous while you are driving. A rock chip creates interference when it comes time to use your windshield wipers. Having a smooth auto glass surface makes your wipers work more easily. In addition, this type of surface is much less likely to result in your windshield wiper catching on a jagged edge. Because your auto glass is a very important component of your car, any occurrence that compromises its appearance should be checked out by a professional. Only 1 Auto Glass provides free estimates, can work with all insurance carriers and provides personal services to its customers, making them the go-to place for all auto glass rock chip repairs in the St. Paul area. My Windshield Has A Tiny Rock Chip. Does It Need To Be Repaired?